During Christmas, warm spicy wine stands in contrast to the French tradition to drink champagne. 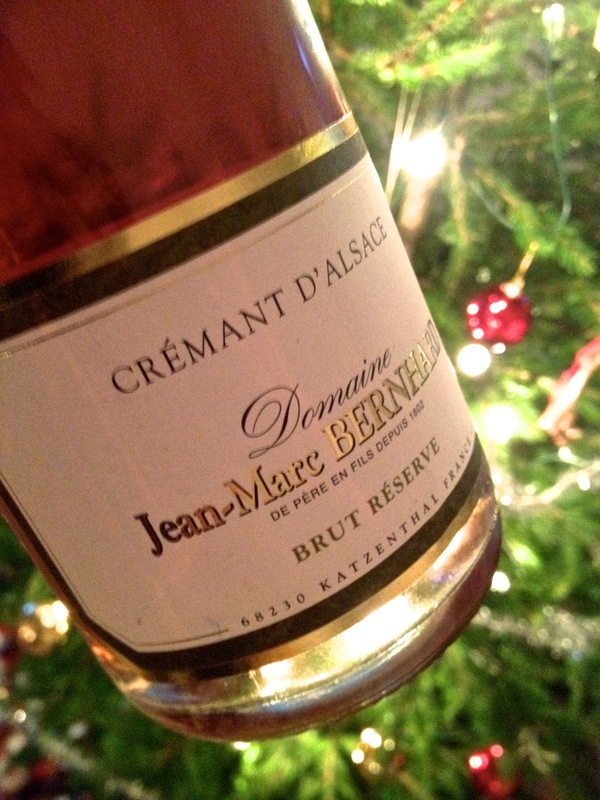 An excellent compromise is to drink Crémant Rosé, a delicious andd refreshing drink made from Pinot Noir. The wine is also part of a larger trend in Alsace, which is to make increasingly sophisticated Crémant on individual grapes (Chardonnay and Pinot Noir), drier styles (zéro dosage) and more and more single vintage editions. Crémant Rosé (2011) by Jean-Marc et Frédéric Bernhard in Katzenthal is lovely salmon pink. The aroma is very fruity with ripe cherry, a splash of strawberries and a touch of toast. The palate is balanced and round with fresh acids that carries a some seductive sweetness (10 grams of residual sugar per liter). Delicious! Price: € 8.50. The label holds the three words Finesse, Harmony, Authenticity. It's really three relevant epithets for the wines of the firm Louis Sipp. With high aspirations at all levels Etienne Sipp makes classic, firm and tasty wines from all grapes. 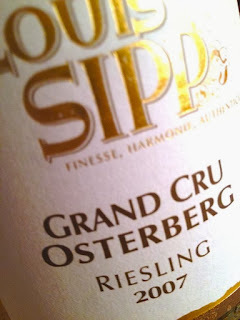 But perhaps does the style turn out best for Riesling, where the cuvées range from the diehard Hagel, over the fresh Grand Cru Osterberg, the saturated Grand Cru Kirchberg to the generous and and plump Steinacker. Sipp has lovely wines for all tastes! 2007 Riesling Grand Cru Osterberg from Louis Sipp in Ribeauvillé is bright greenish yellow in color. The smell is, even after six years, remarkably young with lemon, herbs, acacia and star anise. The taste is barely medium-bodied with big, firm acidity and a clean, ripe fruitiness that fills out the palate into a harmonious whole. A classic wine from a calcareous soil that slopes gently toward the east. Price: € 18.